The WELL Building Standard™ (WELL™) has marked a new milestone, crossing the 1,000 mark for projects that have enrolled in this premier global program that advances people’s health and well-being through better buildings and communities. The distinction of being 1,000th to register for WELL is shared by two projects in the capital city of Germany. 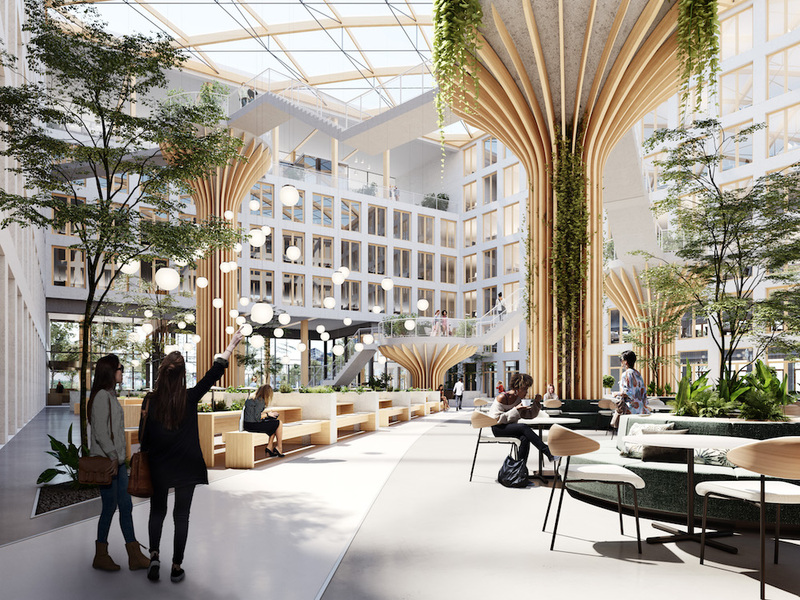 Together totaling 1.25 million square feet, the two office projects in Berlin are being developed by EDGE Technologies, a subsidiary of OVG Real Estate, and supported by BuroHappold. The EDGE buildings in Berlin near Südkreuz Station and East Side Gallery are both WELL Core projects registered under WELL v2, with the aim of achieving ambitious requirements for healthy and sustainable working environments. EDGE Technologies already achieved Germany’s first WELL Precertification at the Gold level for its EDGE Grand Central Berlin, and the Netherlands’ first WELL Precertification at the Platinum level for its EDGE Olympic in Amsterdam. After crossing this milestone in late September, WELL’s momentum continued as its registered projects count today stands at 1,030, and includes the addition of the first registered project on the African continent, as well as the addition of Indonesia as one of the now 37 countries where WELL is being used. ”The growth of WELL tells a powerful success story of positive global engagement and speaks to the universal need to support and advance human health every way we can, including through the buildings and spaces we inhabit every day,” said Rick Fedrizzi, Chairman and CEO of the International WELL Building Institute™ (IWBI™), which develops and delivers the popular rating system. Launched in October 2014 after six years of research and development, WELL has become the premier global standard for buildings, interior spaces and communities seeking to implement, validate and measure features that support and advance human health and wellness. Earlier this spring, IWBI unveiled the WELL v2™ pilot, the next version of the pioneering rating system, which includes a full suite of enhancements that advance its global aim to build a healthier future for all. A truly global rating system, WELL encompasses more than 190 million square feet of real estate projects in 37 countries worldwide. From major markets like China, the United States, Australia, France, the United Kingdom and Canada, to developing countries such as India, Brazil, Thailand and Colombia, the WELL Building Standard has resonated worldwide for its holistic approach to helping improve health and well-being for everyone inside the buildings. The program has also helped to spur innovations across the building, design and construction industries, providing projects with customizable approaches to address geographical and cultural health concerns. A dedicated community of practitioners and industry professionals from across the real estate, corporate, academic and public health spheres has taken shape alongside the global adoption of WELL. Today more than 3,500 people have successfully earned their WELL AP™ (Accredited Professional) credential, with nearly 2,300 more registered as part of the growing pool of individuals looking to develop and demonstrate their understanding of building strategies that put people at the center of decision making about the places we all live, work, learn and play.